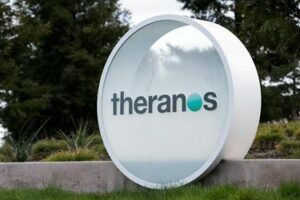 One of the reasons that Theranos was able to evade deep scrutiny for so long was the roster of its board of directors. At various times, the board included George Shultz, William Perry, Henry Kissinger, Sam Nunn, Bill Frist, James Mattis and David Boies. For purposes of this post, I have not provided the affiliations of all of these directors, but take my word for it if you don’t recognize some names: like them or not, they are all serious machers. I remember reading one or two laudatory profiles of Theranos and Holmes pre-scandal and being impressed with whom they had attracted to the company. With the benefit of hindsight, however, the board failed utterly in its oversight of management. There were some issues with particular members: Shultz treated his grandson, a whistleblower from the company, shamefully, and Boies and other members of his firm don’t come off well in the book either. However, the more general problem with the board is that, to paraphrase a saying from my favorite law school professor, if you put all of what these directors knew about the blood testing industry in your eye, you could still see pretty well. The faulty assumption here is that these people with genuine accomplishments in politics, the military and law have transferrable skills that are helpful in overseeing a life sciences startup. Although the company belatedly assembled a medical advisory board after criticism of the composition of its real board, that is hardly a substitute for having directors who are in a position to push back on management’s assessments of its prospects. I don’t want to overstate my case by saying that none of the celebrities should have been on the board. Obviously, their presence helped the company attract funding from another set of luminaries (Rupert Murdoch, Carlos Slim, Betsy DeVos, the Walton family, among others), and a life sciences company that doesn’t have to spend too much time on capital raising can spend more on advancing its technology. However, the board members who did join shouldn’t have done so without knowing there were others around who could provide substantive scrutiny. The general lesson for companies, particularly ones involving specialized technologies, is that it’s important to have at least some outside directors that can call BS on the CEO when needed. Why did I think of the current White House as you pointed out no one calling the boss to task!